Saw this at Incheon Airport. Does the front looks like Porch?? Edited by Axela72, 18 November 2015 - 02:03 PM. NoT foR tHe FaInT HeArt! CLICK & JOIN ME IF YOU DARE! The new design looks so much nicer than the current design. The headlights are beautiful but that mouth grill abit out of place. Don't really like the fog lamps. Personally feel like its a hybrid of Macan + Citroen C4. Looks very.. Agree about the front face. The rear is pretty nice. 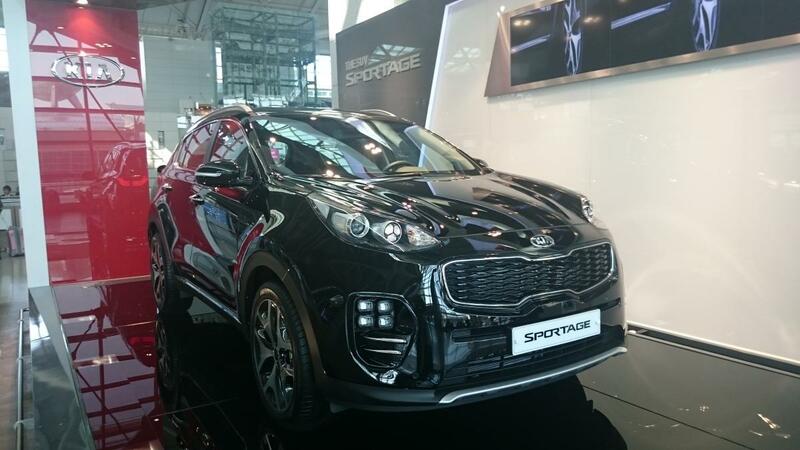 Just don't understand why the price of the Sportage or Korean SUV for that matter is so expensive. It's nice but the entry price is high. For that price probably Japanese 2 liter is still within reach. not possible to be less than 120. It counterpart Tucson is near 140k list price. If sportage can get below 130k, it is already a miracle. When this arrive on the road... you think someone is going to post about being flashed at or how to lower the angle of the headlamps? It looks nice, it kinda grows on you. Black looked very nice.. I wanted to see how it looks in white or silver..
Btw, agree about the fog light.. Looked ugly.. Saw the recent straitstime that the new model is coming in Apr 2016. Any idea on the pricing base on current COE? 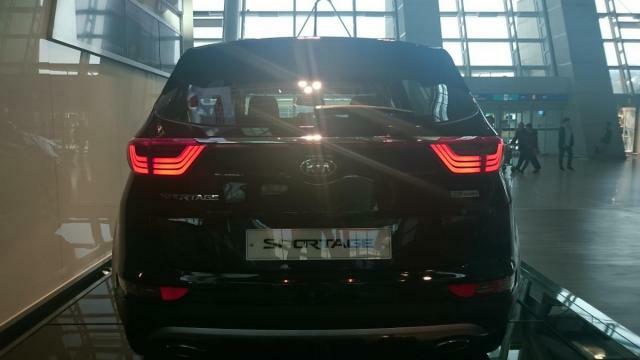 not sure if they will allow booking during this motorshow anot..
Now with the Tucson at 118k, I hope that there's some possibility that the kia Sportage will be able to match it. Yup. based on history, their omv is always above 20k +. If they can do the same like Tucson with less than 20k omv by removing some of the features from the car, why not? Yup.. i drove this beautiful beast in Busan last week. Awesome car. The car i drove was a white beast. look like Porsche SUV. Drive was good and quiet, quite powerful. 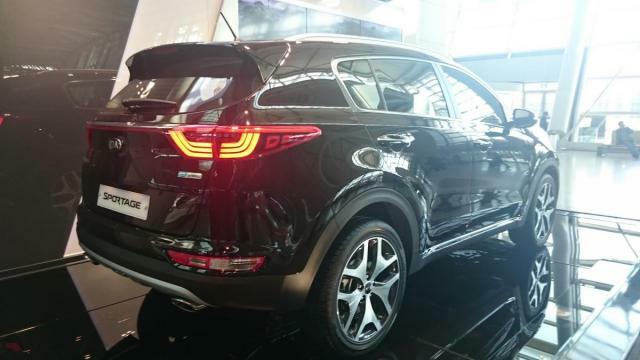 (comparing my ride honda vezel) I like the electric seats..
Take for example ... the Mit Outlander ... they are out selling the Kia Sorento and Hyundai Santa Fe .... one of the factor is the selling price. 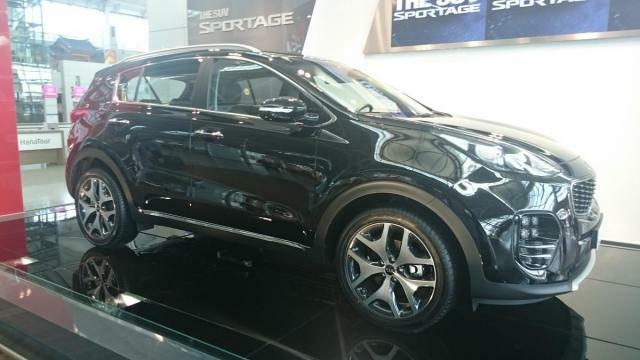 I love the look of the 2016 Sportage .... but most Singaporeans will still choose Nippon over Kim chi. Wow it looks very nice in white!